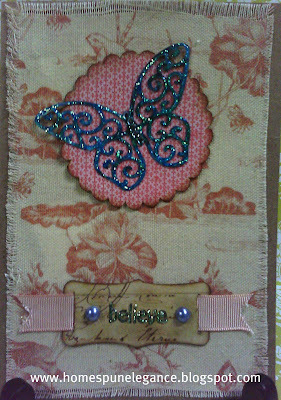 I used the Art Philosophy Cartridge for the Tag and the Butterfly. The Scallop cut is from the imagine and the print is from the imagine more cards cartridge. 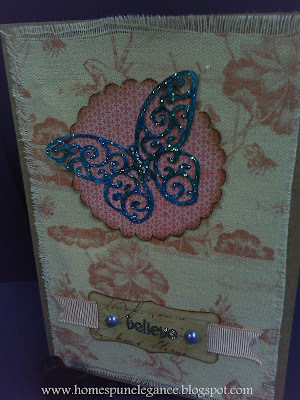 The Believe Stamp is from the Paper Studio. The Fabric is from a K&Company Specialty Paper Pack, as it the Tag and Butterfly paper. I inked the butterfly with Turquoise ink and stickled with clear stickles. Pretty card!! 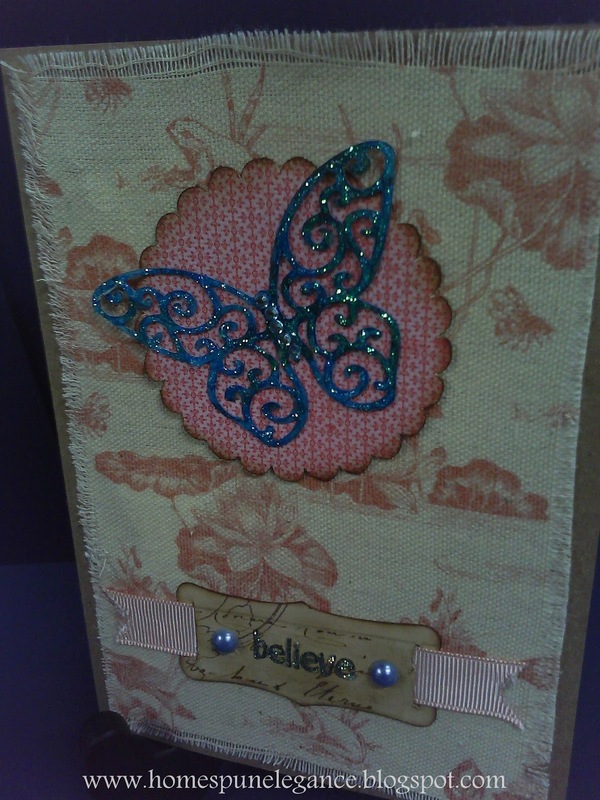 LOVE the tag and butterfly!! This card is beautiful! 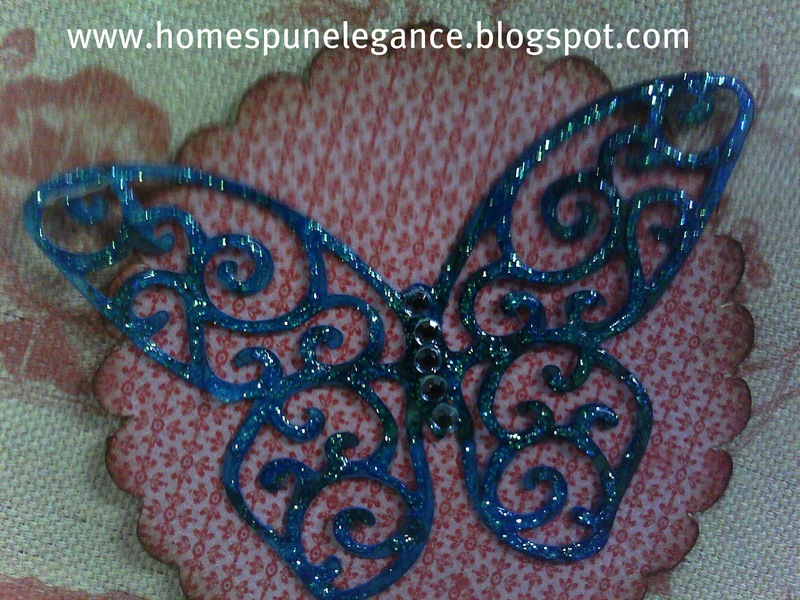 Love the bling on your butterfly!